How often do you think about your “brand”? We each have a personal brand and so does our organization or company. 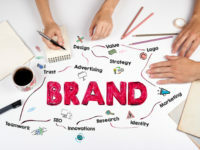 Did you know your brand also makes a “promise”? Those of us in the solid waste industry aren’t selling clothes or fast food, so we may not take the time to develop and assess what we stand for and what we promise to deliver. Doing so is crucial. When we don’t nurture and protect our brand, someone else will define it for us. Not only that, but knowing the brand promise of your company or organization is critical to its long-term success. And it is important for everyone to know it, from top levels of leadership to “boots on the ground” staff. But if you haven’t thought about your brand, how do you determine what it is and what you are promising to those you serve? A good place to begin is by asking what you want them to think, how you want them to feel, and what you want them to do. Once you have these answers, you can pull out keywords to develop an impact statement and then refine that into a tagline. Need some help? What’s Your Brand? Why It’s Important to Know It and Use It! is a session I will co-facilitate at the Solid Waste Association of North America‘s WASTECON, August 20-23, in Nashville, TN. This hands-on workshop will help attendees gain an understanding of how to identify and better communicate the value and impact of a brand promise, including takeaways on how to implement this effort within their own organizations and communities. Attendees also have the option of earning 2.5 CEUs. Join me and the other leaders for this dynamic, hands-on workshop of brainstorming and collaboration!